The 2010 NBA draft was held on June 24, 2010, at the Theatre at Madison Square Garden in New York City, New York. The draft, which started at 7:00 pm Eastern Daylight Time (2300 UTC), was broadcast in the United States on ESPN. In this draft, National Basketball Association (NBA) teams took turns selecting amateur U.S. college basketball players and other eligible players, including international players. This draft set a record with five players being drafted from the same school in the first round. The players were John Wall (first), DeMarcus Cousins (fifth), Patrick Patterson (fourteenth), Eric Bledsoe (eighteenth), and Daniel Orton (twenty-ninth), all from the University of Kentucky. This draft also marked the second time that an NBA D-League player was drafted, with the first case coming in 2008. The Washington Wizards, who won the draft lottery on May 18, 2010, used their first overall draft pick to draft John Wall from the University of Kentucky. The Philadelphia 76ers, who also beat the odds in the draft lottery to obtain the second pick, selected Evan Turner from Ohio State University. The New Jersey Nets, who had the worst win-loss record in the previous season, used the third pick to select Derrick Favors from Georgia Tech. 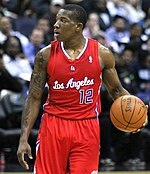 Eric Bledsoe was selected 18th by the Oklahoma City Thunder and was traded to the Los Angeles Clippers. Hassan Whiteside was selected 33rd by the Sacramento Kings. ^ Al-Farouq Aminu was born in the United States to parents of Nigerian descent. He previously represented the United States at youth level, but has represented Nigeria internationally since 2012. ^ Xavier Henry was born in Belgium to an American father. He has represented the United States at youth level. ^ Andy Rautins was born in the United States to a Canadian father. He has represented Canada internationally since 2006. ^ Gani Lawal was born in the United States to a Nigerian father. He has represented Nigeria internationally since 2013. These players were not selected in the 2010 NBA Draft, but have played in at least one NBA game. 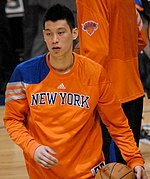 Jeremy Lin was one of the most recent successful undrafted players. All drafted players must be at least 19 years old during the calendar year of the draft. In terms of dates, players eligible for the 2010 draft must be born on or before December 31, 1991. Any player who is not an "international player", as defined in the collective bargaining agreement (CBA) between the league and its players union, must be at least one year removed from the graduation of his high school class. The CBA defines "international players" as players who permanently resided outside the U.S. for three years prior to the draft, did not complete high school in the U.S., and have never enrolled at a U.S. college or university. The basic requirement for automatic eligibility for a U.S. player is the completion of his college eligibility. Players who meet the CBA definition of "international players" are automatically eligible if their 22nd birthday falls during or before the calendar year of the draft (i.e., born on or before December 31, 1988). U.S. players who were at least one year removed from their high school graduation and have played professionally with a team outside the NBA (either top-level basketball in another country, or minor-league basketball in North America) were also automatically eligible. Former high school player Latavious Williams meets these criteria, having graduated high school in 2009, skipped college basketball and then played professional basketball in NBA D-League. A player who is not automatically eligible must declare his eligibility for the draft by notifying the NBA offices in writing no later than 60 days before the draft. For the 2010 draft, this date fell on April 25. Under NCAA rules that take effect with this draft, they only had until May 8 to withdraw from the draft and maintain their college eligibility. Previously, players who declared for the draft could withdraw as late as 10 days before the draft (the withdrawal deadline under the CBA) and still maintain college eligibility. This year, a total of 80 collegiate players and 23 international players declared as early entry candidates. At the withdrawal deadline, 48 early entry candidates withdrew from the draft, leaving 50 collegiate players and five international players as the early entry candidates for the draft. A player who has hired an agent will forfeit his remaining college eligibility, regardless of whether he is drafted. Also, while the CBA allows a player to withdraw from the draft twice, the NCAA mandates that a player who has declared twice loses his college eligibility. This second provision affected Mac Koshwal, Gani Lawal, and Patrick Patterson, all of whom declared for and withdrew from the 2009 draft. The first 14 picks in the draft belonged to teams that had missed the playoffs; the order was determined through a lottery. The lottery determined the three teams that would obtain the first three picks on the draft. The remaining first-round picks and the second-round picks were assigned to teams in reverse order of their win-loss record in the previous season. As it is commonplace in the event of identical win-loss records, the NBA performed a random drawing to break the ties on April 16, 2010. The lottery was held on May 18, 2010 in Secaucus, New Jersey. The Washington Wizards and Philadelphia 76ers beat the statistical odds by winning the first and second overall picks respectively. The New Jersey Nets won the third overall pick. a 1 2 On February 12, 2004, Utah acquired Tom Gugliotta, New York's 2004 and 2010 first-round picks, a 2005 second-round pick and cash considerations from Phoenix in exchange for Keon Clark and Ben Handlogten. Previously, Phoenix acquired Antonio McDyess, Howard Eisley, Charlie Ward, Maciej Lampe, the draft rights to Miloš Vujanić, two first-round picks and cash considerations on January 5, 2004 from New York in exchange for Stephon Marbury, Penny Hardaway and Cezary Trybański. b 1 2 On February 18, 2010, Milwaukee acquired John Salmons, 2011 and 2012 second-round picks and the option to swap 2010 first-round picks from Chicago in exchange for Hakim Warrick and Joe Alexander. The option to swap 2010 first-round picks was exercised, hence Milwaukee acquired Chicago's first-round pick and Chicago acquired Milwaukee's first-round pick. c On June 25, 2009, Minnesota acquired Charlotte's first-round pick from Denver in exchange for the draft rights to Ty Lawson. Previously, Denver acquired a first-round pick on June 25, 2008 from Charlotte in exchange for the 20th pick in the 2008 Draft. d 1 2 3 On June 23, 2010, Oklahoma City acquired Daequan Cook and the 18th pick in the 2010 Draft from Miami in exchange for the 32nd pick in the 2010 Draft. Previously, Oklahoma City acquired Etan Thomas and two second-round picks on July 27, 2009 from Minnesota in exchange for Damien Wilkins and Chucky Atkins. Previously, Minnesota acquired a second-round pick and cash considerations on June 25, 2009 from Dallas in exchange for the draft rights to Nick Calathes. Previously, Dallas acquired a second-round pick, the 24th and 56th picks in the 2009 Draft on June 24, 2009 from Portland in exchange for the 22nd pick in the 2009 Draft. e On July 9, 2008, Minnesota acquired Rodney Carney, Calvin Booth, Utah's first-round pick and cash considerations from Philadelphia in exchange for a conditional second-round pick. Previously, Philadelphia acquired Gordan Giriček and a first-round pick on December 29, 2007 from Utah in exchange for Kyle Korver. f On August 7, 2009, Memphis acquired Steven Hunter, a first-round pick and cash considerations from Denver in exchange for a conditional second-round pick. g On July 20, 2007, Oklahoma City (as Seattle) acquired Kurt Thomas, 2008 and 2010 first-round picks from Phoenix in exchange for a 2009 second-round pick. h On February 19, 2008, New Jersey acquired Devin Harris, Trenton Hassell, Maurice Ager, DeSagana Diop, Keith Van Horn, cash considerations, 2008 and 2010 first-round picks from Dallas in exchange for Jason Kidd, Antoine Wright and Malik Allen. i 1 2 On February 1, 2008, Memphis acquired Kwame Brown, Javaris Crittenton, Aaron McKie, the draft rights to Marc Gasol, cash considerations, 2008 and 2010 first-round picks from L.A. Lakers in exchange for Pau Gasol and a second-round pick. j On February 17, 2010, Washington acquired Žydrūnas Ilgauskas, the draft rights to Emir Preldžič and a first-round pick from Cleveland in a three-team trade with Cleveland and the L.A. Clippers. k 1 2 On June 22, 2010, Milwaukee acquired Corey Maggette and the 44th pick in the 2010 Draft from Golden State in exchange for Charlie Bell and Dan Gadzuric. Previously, Golden State acquired the 44th pick in the 2010 Draft and cash considerations on June 21, 2010 from Portland in exchange for the 34th pick in the 2010 Draft. Previously, Portland acquired 2009 and 2010 second-round picks from Chicago in a three-team trade on June 26, 2008.
l On February 18, 2010, Milwaukee acquired Primož Brezec, Royal Ivey and a second-round pick from Philadelphia in exchange for Francisco Elson and Jodie Meeks. m 1 2 On July 28, 2008, New York acquired Taurean Green, Bobby Jones and a second-round pick from Denver in exchange for Renaldo Balkman and cash considerations. Previously, the L.A. Clippers acquired Marcus Camby on July 15, 2008 from Denver in exchange for the option to swap 2010 second-round picks. The options to swap 2010 second-round picks was exercised, hence New York acquired L.A. Clippers' second-round pick via Denver and the L.A. Clippers acquired Denver's second-round pick. n On June 25, 2009, Miami acquired 2010 and 2012 second-round picks from New Orleans in exchange for the draft rights to Marcus Thornton. o On June 13, 2009, Miami acquired Jermaine O'Neal, Jamario Moon, a future first-round pick and a 2010 second-round pick from Toronto in exchange for Shawn Marion, Marcus Banks and cash considerations. p On February 21, 2008, Minnesota acquired Kirk Snyder, a second-round pick and cash considerations from Houston in exchange for Gerald Green. q On December 10, 2008, Phoenix acquired Jason Richardson, Jared Dudley and a second-round pick from Charlotte in exchange for Raja Bell, Boris Diaw and Sean Singletary. r On June 25, 2009, Dallas acquired the draft rights to Rodrigue Beaubois and a second-round pick from Oklahoma City in exchange for the draft rights to Byron Mullens. s On December 29, 2009, Minnesota acquired Alando Tucker, a second-round pick and cash considerations from Phoenix in exchange for Jason Hart. 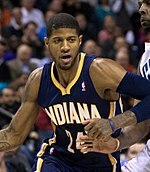 t On October 10, 2008, Indiana acquired Eddie Jones, cash considerations, 2009 and 2010 second-round picks from Dallas in exchange for Shawne Williams. u On June 25, 2009, Phoenix acquired Ben Wallace, Aleksandar Pavlović, a second-round pick and cash considerations from Cleveland in exchange for Shaquille O'Neal. A 1 2 3 Oklahoma City acquired Morris Peterson and the draft rights to 11th pick Cole Aldrich from New Orleans in exchange for the draft rights to 21st pick Craig Brackins and 26th pick Quincy Pondexter. The trade was finalized on July 8, 2010, after the new salary cap went into effect and the league moratorium period concluded. B Portland acquired Ryan Gomes and the draft rights to 16th pick Luke Babbitt from Minnesota in exchange for Martell Webster. C Washington acquired Kirk Hinrich, the draft rights to 17th pick Kevin Seraphin and cash considerations from Chicago in exchange for the draft rights to Vladimir Veremeenko. The trade was finalized on July 8, 2010, after the new salary cap went into effect and the league moratorium period concluded. D The L.A. Clippers acquired the draft rights to 18th pick Eric Bledsoe from Oklahoma City in exchange for a future conditional first-round pick. E 1 2 3 4 Washington acquired the draft rights to 23rd pick Trevor Booker and 56th pick Hamady N'Diaye from Minnesota in exchange for the draft rights to 30th pick Lazar Hayward and 35th pick Nemanja Bjelica. F 1 2 3 New Jersey acquired the draft rights to 24th pick Damion James from Atlanta in exchange for the draft rights to 27th pick Jordan Crawford and 31st pick Tibor Pleiß. G Dallas acquired the draft rights to 25th pick Dominique Jones from Memphis Grizzlies in exchange for cash considerations. H Oklahoma City acquired the draft rights to 31st pick Tibor Pleiß from Atlanta in exchange for cash considerations. I New York acquired the draft rights to 44th pick Jerome Jordan from Milwaukee in exchange for cash considerations. The trade was finalized on July 8, 2010. J Oklahoma City acquired the draft rights to 48th pick Latavious Williams from Miami in exchange for a future second-round pick. K Toronto acquired the draft rights to 50th pick Solomon Alabi from Dallas in exchange for a 2013 conditional second-round pick and cash considerations. L 1 2 Indiana acquired the draft rights to 51st pick Magnum Rolle from Oklahoma City in exchange for the draft rights to 57th pick Ryan Reid and cash considerations. "2010 NBA Draft Results Round 1". ESPN.com. Archived from the original on September 25, 2012. Retrieved June 25, 2010. "2010 NBA Draft Results Round 2". ESPN.com. Archived from the original on September 25, 2012. Retrieved June 25, 2010. ^ "Latavious Williams Becomes Second Player Drafted By NBA Team". NBA.com. Turner Sports Interactive, Inc. June 25, 2010. Archived from the original on July 2, 2010. Retrieved March 16, 2012. ^ Friedlander, David (July 27, 2012). "Norcross' Aminu helps Nigerian basketball team into Olympics". Gwinnett Daily Post. Retrieved June 29, 2014. ^ Abrams, Jonathan (December 18, 2013). "Xavier Henry's L.A. Story". ESPN.com. Retrieved June 29, 2014. ^ "Terrico White Stats". Espn.go.com. 1990-03-07. Retrieved 2013-05-26. ^ Wolstat, Ryan (March 17, 2010). "Maple Leaf madness". Toronto Sun. Retrieved August 15, 2011. ^ "Da'Sean Butler Stats". Espn.go.com. 1988-01-25. Retrieved 2013-05-26. ^ "Paulo Prestes Stats". Espn.go.com. 1988-02-15. Retrieved 2013-05-26. ^ Rogers, Carroll (October 15, 2009). "Gani Lawal, the rare Yellow Jacket not to leave early". Gwinnett Daily Post. Retrieved June 29, 2014. ^ "Sixers sign Gani Lawal, release Soloman Alabi". CSN Philly. October 5, 2013. Archived from the original on August 9, 2014. Retrieved June 29, 2014. ^ "Tiny Gallon Stats". Espn.go.com. 1991-01-18. Retrieved 2013-05-26. ^ "Latavious Williams Stats". Espn.go.com. 1989-03-29. Retrieved 2013-05-26. ^ "Ryan Richards Stats". Espn.go.com. 1991-04-24. Retrieved 2013-05-26. ^ "Magnum Rolle Stats". Espn.go.com. 1986-02-03. Retrieved 2013-05-26. ^ "Stanley Robinson Stats". Espn.go.com. 1988-07-14. Retrieved 2013-05-26. ^ "Dwayne Collins Stats". Espn.go.com. 1988-04-13. Retrieved 2013-05-26. ^ "Article X, Section 1(b)(ii)". 2005 NBA Collective Bargaining Agreement. National Basketball Players Association. Archived from the original on August 1, 2009. Retrieved April 17, 2008. ^ "Article X, Section 1(b)(ii)(G)(1)". 2005 NBA Collective Bargaining Agreement. National Basketball Players Association. Archived from the original on August 1, 2009. Retrieved April 17, 2008. ^ Cranston, Mark (June 25, 2009). "Williams eyes high school-D-League-NBA route". USA Today. Retrieved June 25, 2010. ^ "NBA releases list of early entrants for 2010 Draft". NBA.com. Turner Sports Interactive, Inc. April 29, 2010. Archived from the original on 6 July 2010. Retrieved June 25, 2010. ^ "Forty-eight early entry candidates withdraw from NBA Draft". NBA.com. Turner Sports Interactive, Inc. June 15, 2010. Archived from the original on 18 June 2010. Retrieved June 25, 2010. ^ "Early-entry candidates withdraw from 2009 NBA Draft". NBA.com. Turner Sports Interactive, Inc. June 16, 2009. Archived from the original on June 19, 2009. Retrieved June 25, 2010. ^ Brennan, Eamonn (2010-04-06). "Top 10 storylines for offseason". ESPN.com. Archived from the original on 9 April 2010. Retrieved 2010-04-15. ^ a b "Ties broken for NBA Draft 2010 order of selection". NBA.com. Turner Sports Interactive, Inc. April 16, 2010. Archived from the original on 5 May 2010. Retrieved May 5, 2010. ^ "Jazz acquire Gugliotta". NBA.com/Jazz. Turner Sports Interactive, Inc. February 12, 2004. Archived from the original on 24 May 2010. Retrieved May 18, 2010. ^ "Suns Complete 8-Player Trade with Knicks". NBA.com/Suns. Turner Sports Interactive, Inc. January 5, 2004. Retrieved May 18, 2010. ^ "Bucks Acquire John Salmons from Bulls". NBA.com/Bucks. Turner Sports Interactive, Inc. February 18, 2010. Archived from the original on 10 April 2010. Retrieved May 18, 2010. ^ "Wolves Select Wayne Ellington at No. 28". NBA.com/Timberwolves. Turner Sports Interactive, Inc. June 25, 2009. Archived from the original on 10 April 2010. Retrieved May 18, 2010. ^ "Nuggets Trade 2008 1st Round Pick to Charlotte". NBA.com/Nuggets. Turner Sports Interactive, Inc. June 25, 2008. Retrieved May 18, 2010. ^ "Thunder Acquires 18th Pick and Daequan Cook from Heat". NBA.com/Thunder. Turner Sports Interactive, Inc. June 23, 2010. Archived from the original on 12 July 2010. Retrieved June 24, 2010. ^ Silva, Chris (July 27, 2009). "Thomas Brings Depth To Frontcourt". NBA.com/Thunder. Turner Sports Interactive, Inc. Archived from the original on 10 April 2010. Retrieved May 19, 2010. ^ "Wolves trade Calathes to Dallas". USA Today. June 26, 2009. Retrieved May 19, 2010. ^ "Mavericks, Trail Blazers swap 1st-round picks". NBA.com. Turner Sports Interactive, Inc. June 25, 2009. Archived from the original on December 3, 2009. Retrieved May 19, 2010. ^ "Wolves Acquire First-Round Pick, Carney and Booth". NBA.com/Timberwolves. Turner Sports Interactive, Inc. July 9, 2007. Archived from the original on 28 May 2010. Retrieved May 18, 2010. ^ "Sixers Acquire Giriček and First-Round Pick from Jazz". NBA.com/Sixers. Turner Sports Interactive, Inc. December 29, 2007. Retrieved May 18, 2010. ^ "Grizzlies acquire first round Draft Pick from Nuggets". NBA.com/Grizzlies. Turner Sports Interactive, Inc. August 7, 2009. Archived from the original on 11 April 2010. Retrieved May 18, 2010. ^ "Sonics Acquire Kurt Thomas and Two First-Round Picks". NBA.com/Thunder. Turner Sports Interactive, Inc. July 20, 2007. Retrieved May 18, 2010. ^ "Nets Acquire Devin Harris and Two First Round Draft Pics in Eight Player Trade with Dallas". NBA.com/Nets. Turner Sports Interactive, Inc. February 19, 2008. Archived from the original on 8 April 2010. Retrieved May 18, 2010. ^ "Grizzlies trade Pau Gasol to Lakers for four players and two first round picks". NBA.com/Grizzlies. Turner Sports Interactive, Inc. February 1, 2008. Retrieved May 18, 2010. ^ "Wizards Acquire Ilgauskas, Thornton and First-Round Pick In Three-Team Deal". NBA.com/Wizards. Turner Sports Interactive, Inc. February 17, 2010. Archived from the original on 15 May 2010. Retrieved May 18, 2010. ^ "Bucks Acquire Maggette in Trade with Warriors". NBA.com/Bucks. Turner Sports Interactive, Inc. June 21, 2010. Archived from the original on 26 June 2010. Retrieved June 23, 2010. ^ "Warriors Acquire Charlie Bell And Dan Gadzuric From Milwaukee". NBA.com/Warriors. Turner Sports Interactive, Inc. June 21, 2010. Archived from the original on 26 June 2010. Retrieved June 23, 2010. ^ "Trail Blazers busy again on draft night". NBA.com/Blazers. Turner Sports Interactive, Inc. June 26, 2008. Retrieved May 19, 2010. ^ Schuhmann, John (June 26, 2008). "The Deals of the Draft". NBA.com. Turner Sports Interactive, Inc. Retrieved May 19, 2010. ^ "Bucks Acquire Ivey, Brezec from 76ers". NBA.com/Bucks. Turner Sports Interactive, Inc. February 18, 2010. Archived from the original on 10 April 2010. Retrieved May 19, 2010. ^ "Knicks Acquire 2010 Second-Round Draft Choice From Denver in Exchange for Balkman". NBA.com/Knicks. Turner Sports Interactive, Inc. July 28, 2008. Retrieved May 19, 2010. ^ "Nuggets Trade Camby to L.A. Clippers". NBA.com/Nuggets. Turner Sports Interactive, Inc. July 17, 2008. Retrieved May 19, 2010. ^ "Heat Select Robert Dozier in The 2009 NBA Draft". NBA.com/Heat. Turner Sports Interactive, Inc. June 26, 2009. Retrieved May 19, 2010. ^ "Heat Acquire Jermaine O'Neal & Jamario Moon". NBA.com/Heat. Turner Sports Interactive, Inc. February 13, 2009. Retrieved May 19, 2010. ^ "Wolves Trade Green to Rockets". NBA.com/Timberwolves. Turner Sports Interactive, Inc. February 21, 2008. Archived from the original on 29 May 2010. Retrieved May 19, 2010. ^ Swiat, Stefan (December 10, 2008). "Suns Trade for Richardson, Dudley and 2010 Second-Round Pick". NBA.com/Suns. Turner Sports Interactive, Inc. Archived from the original on 10 April 2010. Retrieved May 19, 2010. ^ "Thunder Acquires James Harden, B.J. Mullens and Robert Vaden in 2009 NBA draft". NBA.com/Thunder. Turner Sports Interactive, Inc. June 26, 2009. Archived from the original on 10 April 2010. Retrieved May 19, 2010. ^ "Timberwolves Acquire Forward Alando Tucker". NBA.com/Timberwolves. Turner Sports Interactive, Inc. December 29, 2009. Retrieved May 19, 2010. ^ "Mavericks Acquire Forward Shawne Williams". NBA.com/Mavericks. Turner Sports Interactive, Inc. October 10, 2008. Retrieved May 27, 2010. ^ Caplan, Jeff (June 2, 2010). "Deal closes book on Williams trade". ESPN.com. Archived from the original on 5 June 2010. Retrieved June 10, 2010. ^ "Suns Complete Trade With Cavs, Send Shaq to Cleveland". NBA.com/Suns. Turner Sports Interactive, Inc. June 25, 2009. Archived from the original on 10 April 2010. Retrieved May 19, 2010. ^ "2010 Draft Day Trade Tracker". NBA.com. Turner Sports Interactive, Inc. June 25, 2010. Archived from the original on 28 June 2010. Retrieved June 25, 2010. ^ "Bulls to send Hinrich to Wizards". ESPN.com. June 25, 2010. Archived from the original on 28 June 2010. Retrieved June 25, 2010. ^ "Draft night includes 11 trades". Yahoo! Sports. Yahoo! Inc. June 25, 2010. Retrieved June 25, 2010. ^ "Hornets to trade No. 11 pick Aldrich to Thunder". NBA.com. Turner Sports Interactive, Inc. June 24, 2010. Archived from the original on 28 June 2010. Retrieved June 25, 2010. ^ "Hornets Enter Negotiations in Trading Aldrich and Peterson for Multiple Draft Picks". NBA.com/Hornets. Turner Sports Interactive, Inc. June 24, 2010. Archived from the original on 28 June 2010. Retrieved June 25, 2010. ^ "Statement From Sam Presti". NBA.com/Thunder. Turner Sports Interactive, Inc. June 24, 2010. Archived from the original on 28 June 2010. Retrieved June 25, 2010. ^ "Thunder Acquires Cole Aldrich and Morris Peterson". NBA.com/Thunder. Turner Sports Interactive, Inc. July 8, 2010. Retrieved July 8, 2010. ^ "Minnesota Acquires Martell Webster from Portland". NBA.com/Timberwolves. Turner Sports Interactive, Inc. June 25, 2010. Archived from the original on 29 June 2010. Retrieved June 25, 2010. ^ Aldridge, David (June 24, 2010). "Bulls clear space, send Hinrich, 17th pick to Wizards". NBA.com. Turner Sports Interactive, Inc. Archived from the original on 27 June 2010. Retrieved June 25, 2010. ^ "Statement from General Manager Gar Forman". NBA.com/Bulls. Turner Sports Interactive, Inc. June 24, 2010. Archived from the original on 28 June 2010. Retrieved June 25, 2010. ^ "Wizards Acquire Kirk Hinrich and Draft Rights to Kevin Seraphin From Chicago". NBA.com/Wizards. Turner Sports Interactive, Inc. July 8, 2010. Archived from the original on 13 July 2010. Retrieved July 8, 2010. ^ "Clippers acquire draft rights to Eric Bledsoe". NBA.com/Clippers. Turner Sports Interactive, Inc. June 24, 2010. Archived from the original on 29 June 2010. Retrieved June 25, 2010. ^ "Wizards Acquire Draft Rights to Trevor Booker and Hamady N'Diaye From Minnesota". NBA.com/Wizards. Turner Sports Interactive, Inc. June 24, 2010. Archived from the original on 28 June 2010. Retrieved June 25, 2010. ^ Couch, Ben (June 24, 2010). "Nets Nab Favors, Add James in Trade". NBA.com/Nets. Turner Sports Interactive, Inc. Archived from the original on 28 June 2010. Retrieved June 25, 2010. ^ "Mavs acquire the draft rights to Dominique Jones". NBA.com/Mavericks. Turner Sports Interactive, Inc. June 24, 2010. Archived from the original on 28 June 2010. Retrieved June 25, 2010. ^ a b c "Thunder Acquires Pleiss, Williams, Reid and Future First Round Pick in 2010 NBA Draft". NBA.com/Thunder. Turner Sports Interactive, Inc. June 24, 2010. Archived from the original on 28 June 2010. Retrieved June 25, 2010. ^ Viera, Mark (June 25, 2010). "Knicks Add Another Second-Round Pick". The New York Times. Archived from the original on 29 June 2010. Retrieved July 9, 2010. ^ "Knicks Acquire Draft Rights to Jerome Jordan". NBA.com/Knicks. Turner Sports Interactive, Inc. July 8, 2010. Archived from the original on 12 July 2010. Retrieved July 9, 2010. ^ "Raptors Select Davis In First Round Of 2010 NBA Draft And Acquire Draft Rights To Alabi In Second Round". NBA.com. Turner Sports Interactive, Inc. June 25, 2010. Archived from the original on 11 August 2010. Retrieved August 16, 2010.